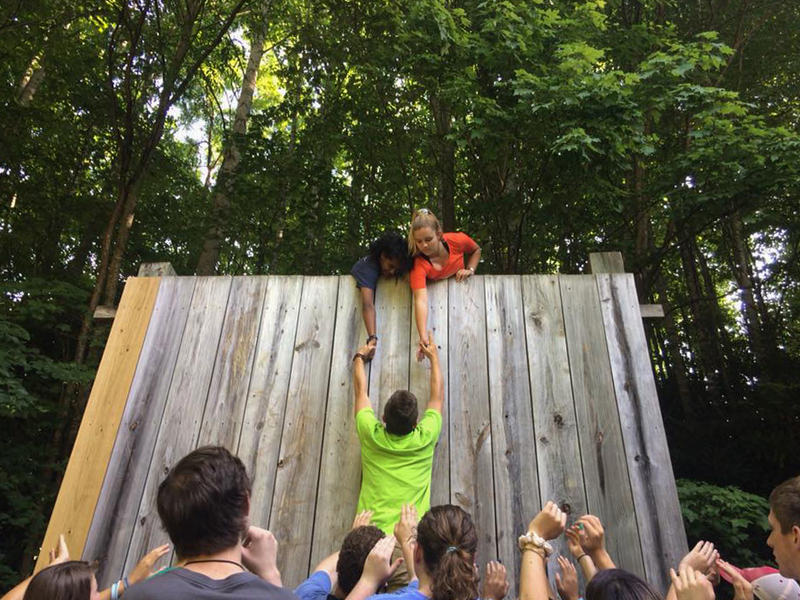 203 of our Chets Students and their leaders participated in a Fuge summer camp at Ridgecrest, North Carolina. Students spent time worshiping, studying scripture, building relationships, having fun, and discovering how to live out the mission of sharing Jesus with the world. "The past couple of months, I've been a bit distant from God, and I feel like camp has shown me that we all make mistakes… Pray that I continue to grow in my faith and that I don’t forget what happened at camp." "I wasn’t planning on going to camp and I wasn’t sure I wanted to. I felt very far from God. Then Jeff said he really wanted me to go and I felt like I was supposed to. I was in a different Bible study and tracks from my best friend and I had been dealing with a lot of anxiety talking to people I don’t know. But on the get to know you student card, my bible study leader Ashton gave us, I felt the need to write how I was feeling and what was going on. So she asked to speak with me if I would. I decided to go meet with her during free time. It gave me a chance to talk to her about some important things and get some answers because I was having trouble trusting God. This week helped me see where God is. It was God that gave me her as my leader… I now feel like I am starting to be able to start a relationship with Jesus and be able to begin to forgive those who have hurt me." "God called me to share the Word with my friends that don't know him." "My experience at camp always seems to supersede the prior one. This year I went to Ridgecrest with a conflicted conscience and a lot on my mind, (a reoccurring theme of mine) but I am able to say that God is greater than my lack of peace. God is stronger than my unbelief and He is higher than my falling short of his glory. I have always struggled to rest in my lack of knowledge, and this past week at camp has been a reminder of two things: to trust in the Lord and lean not on my own understanding, and that my need for saving grace is only a prelude to sanctifying grace. My takeaway is that God's grace is greater than all my sin, all my shame, and all my strongholds." "Since last year at camp I have been wanting to be a Fuge staffer and this year God has really been talking to me that I need to grow as a leader and get rid of sins in my life that would impede me. Pray that I would get out of my comfort zone and get out and lead." "I asked God for forgiveness this week at camp and I told someone about something I have been holding onto for years. God reminded me that I am forgiven for all of my sins and not just one sin for one day, and I understand that the Holy Spirit really fills my heart with peace and joy. Pray that God guides me and teaches me how to be open with others about my faith and pray that I continue to grow in my faith and when I do fall into sin that I am able to understand God forgives me and continue to follow his path for my life." "God spoke to me at camp to really pray more often and pray for those who do not yet know Him and that they will eventually learn more about him." "I gave my life to Jesus for the very first time in my life and started a relationship with him through faith. I learned more about God and I’m going to share more about this amazing thing." "A God story could be that this week I was really nervous for the people that I would have in my Bible study group, but I ended up having two people I already knew, and I made friends with a lot of the people in my class. Pray that I will be able to be bold with others and not lose the energy that camp gives about wanting to share the gospel with others." "This week God called me to go ahead and learn sign and learn how to really start helping to those with disabilities and special needs." "This year at camp the theme was to be on mission to our peers and other people around us. I got the incredible opportunity to have the missions track, in which we left Ridgecrest to go out and mission. I had never done any missions that weren’t through my school, so it was very nerve racking. We went to a nursing home and sang to them. It was very eye opening to see that although they’re older Christ still lives through their lives. The third day we went to a veteran’s home and worked in the garden. It was so cool to see how much they appreciated the littlest things. This week at camp I was inspired to share the light that God shines in me and to minister to the people in my school, my home, my town, and anywhere God leads me to." "Basically, God shared with me that I needed to have joy in Christ and use that joy to express Jesus’ love. How is Christianity any different from the world if we are also downcast and depressed? I also realized I need to take a more active stand in the church and make sure to welcome new visitors and the new freshmen into the family of Christ. Please pray that I continue to have a fire to share God’s Love with my One [the one person God put on their heart this week to share the gospel with] and others. Pray that I have boldness, and the Holy Spirit will reveal opportunities to me, so I can share His Name." "This week God was able to show me that I do not have to go all the way around the world just to serve and that I am able to serve anywhere. Prayer is not the least I can do, it's the best I can do." "Recently I’ve really been struggling with friends and relationships in my life and it’s brought me to a place of feeling really lonely. The way the people I consider my closest friends treat me and losing my best friends has taken a toll on me and has skewed my view on people all together. The second full day of camp during bible study I was listening to how everyone felt that the church was their family and how close they felt everyone was. I began to grow frustrated because I didn’t feel that way at all. In that moment I heard God yelling at me, “You are not alone!” He then put it on my heart to look around the room and I realized there WERE people that actually care about me and would have been there for and with me if I had just gone to them. In that moment I realized I didn’t even turn to God in my loneliness. I knew then that I’ve become numb, in my faith and really just in life, going through the motions. And I hadn’t noticed till now that it was a result of not wanting to get hurt anymore. This week I know that God has put a fire back in me and I want to move forward intentionally building relationships at church with people that can pour into me but also with people that I can pour into." "God has been working on my heart for several years now, through anxiety and depression. This year at camp the Holy Spirit was flowing through me with a new energy, so stepping out of my comfort zone became very possible for me. God pushed fears out of my mind with his love and goodness; and because He did, I formed new relationships, learned more about God, and had more fun than I could have hoped to. Please pray that I don’t lose my fire for God and also that I can continue to be fearlessly bold for the Lord." "We had an exercise with our Bible study group called the trust fall. We fell from a high platform and had to trust that our group would catch us and bring us back to the ground safely. On the platform was my Bible study leader who was encouraging me and telling me to trust they will catch me. During the fall, I felt like I let go not only from the platform, but from "driving my own faith."... I was shown that I need to trust in God more and to let Him lead me down the path He has planned for me!" 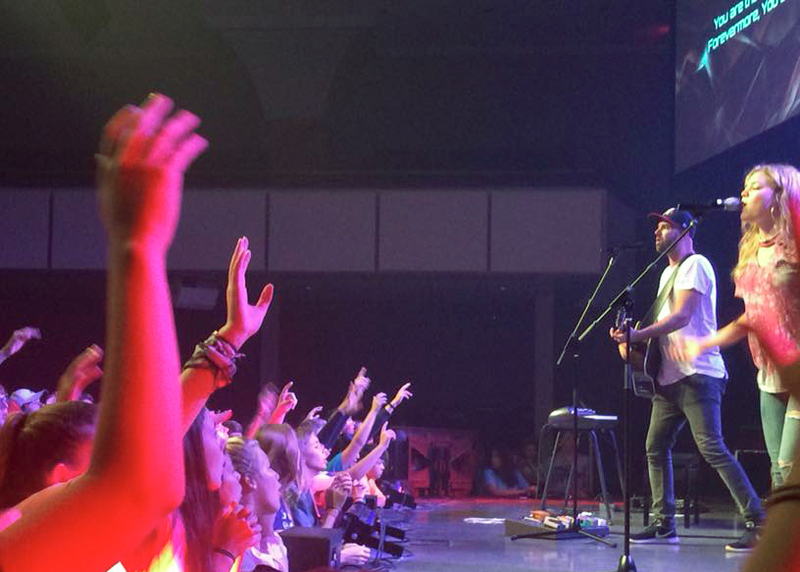 "I realized when I was at camp it’s not our job to convince anybody that God is real. That’s what God is going to do." Older PostLove God. Love Others.